So, you’re finally off the fence and ready to buy a home before prices — and mortgage rates — rise any further. Here’s what you need to know about jumping into the market at this time of year. The bottom line is that different markets behave differently during the fall. According to Zillow’sAugust Real Estate Market Reports, nationalhome values rose 0.4 percent from July, marking the third consecutive month in which monthly home values rose more slowly than the month prior. However, markets in California, Las Vegas and Minneapolis are still seeing an extremely brisk pace of home value appreciation (2 percent or higher). As we exit this year’s selling season, we will start to see a slowdown in home value appreciation. Many frustrated sellers who weren’t able to unload their properties during the busy peak spring/summer buying season may take their homes off the market, particularly as the holidays approach and the action comes to a screeching halt. This means you can expect the selection to be even more limited than it currently is in some markets. Was there a home you saw and loved a few months ago? Is it still on the market? If it hasn’t sold after one of the hottest real estate summers since the economic downturn, you likely have room to negotiate. While some buyers will pull their homes off the market, others who have been holding out for the best possible price may now be ready to come down. While some homeowners are determined to get a set price, others may simply want out at this juncture. 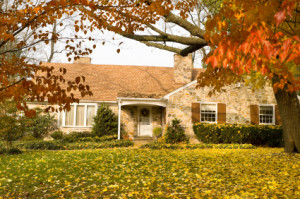 Fall is the ideal time to check things such as gutter drainage and the general upkeep of the yard. How does everything look? Does anything need repair? Visit the home on a rainy day and see for yourself. Then go inside and check out the furnace, looking for drafts, leakage issues and other possible structural/maintenance problems. If they’re apparent, determine how much money it’s going to take to get everything up to snuff and factor that into your offer, adjusting your price accordingly. What Is ‘Risk’ in Real Estate?